Experience Western Montana’s finest fly fishing rivers with a guided fly fishing trip through The Missoulian Angler Fly Shop. 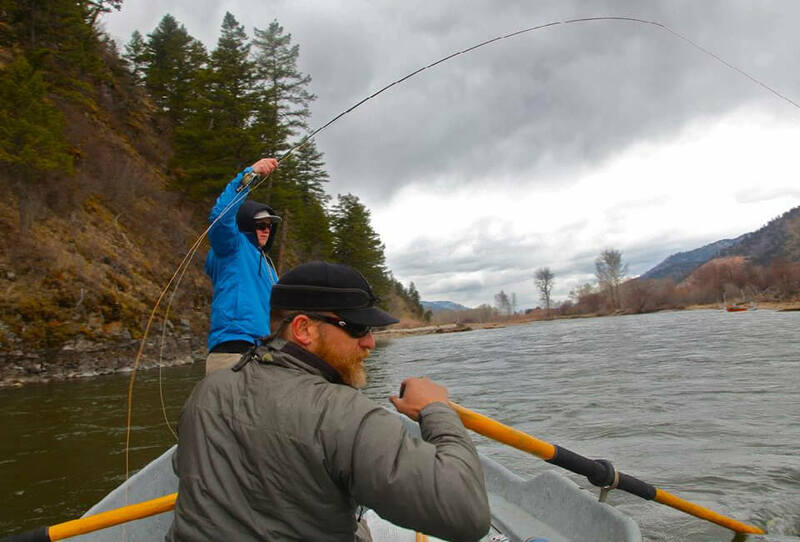 We take pride in Missoula fly fishing vacations tailored to meet your particular needs. What kind of trip are you looking for? Fly fishing float trips offer the most you could hope for in a day of Montana fly fishing. Novice anglers will appreciate the ease of fishing from a boat. Experienced anglers will be pleased by the results of a well-handled boat matched with a well-handled fly rod. Wade fishing trips can be a nice alternative for those that prefer the simplicity of a walk on the river. Wade trips are best suited to anglers comfortable spending a day hiking and wading on uneven terrain. Missoula Fly Fishing Guides are available to fish with you and your group. Give us a call to Book your Missoula Fly Fishing Vacation today.